With the provision of various amenities, Hotel Girgaon Palace ensures a comfortable and convenient stay for the visitors here. 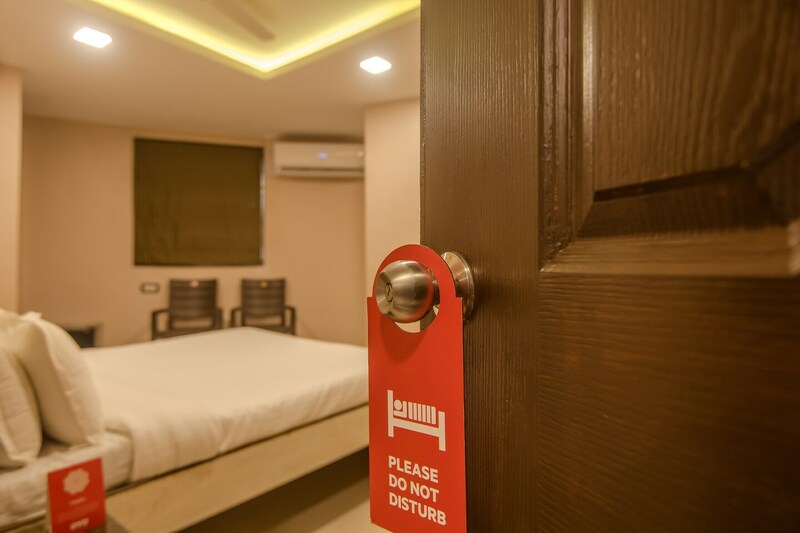 The rooms are well-lit and decorated with comfortable wooden furniture for a relaxing stay. The window in the room opens to a beautiful city view. The bathrooms are also well-equipped with basic amenities. CCTV cameras are installed across the hotel for the security of your stay. Guests are entitled to use free Wi-Fi service to stay connected with social media or to catch up with pending work. Elevator and laundry service is also offered by the hotel. Various restaurants located near this hotel offer delicious local delicacies.